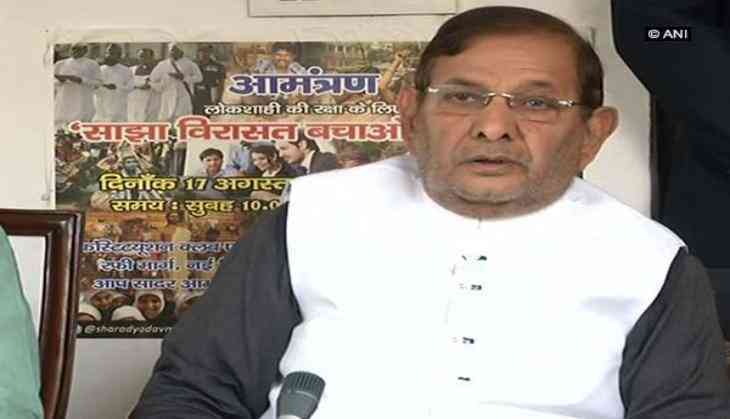 Rebel Janata Dal (United) MP Sharad Yadav on 12 December approached the Delhi High Court against his disqualification as a Rajya Sabha member. Earlier on 4 December, Yadav and Ali Anwar were disqualified from the Rajya Sabha. Vice President M. Venkaiah Naidu, who is also the chairman of the upper house, issued the order stating that they cease to be Members of Parliament with immediate effect. The JD(U) had earlier sought their disqualification on the grounds that they had attended a rally of opposition parties in Patna in violation of its direction. Naidu also agreed to the JD(U)'s contention that the two senior leaders had voluntarily given up their membership by defying their party's directives and attending events of opposition parties.